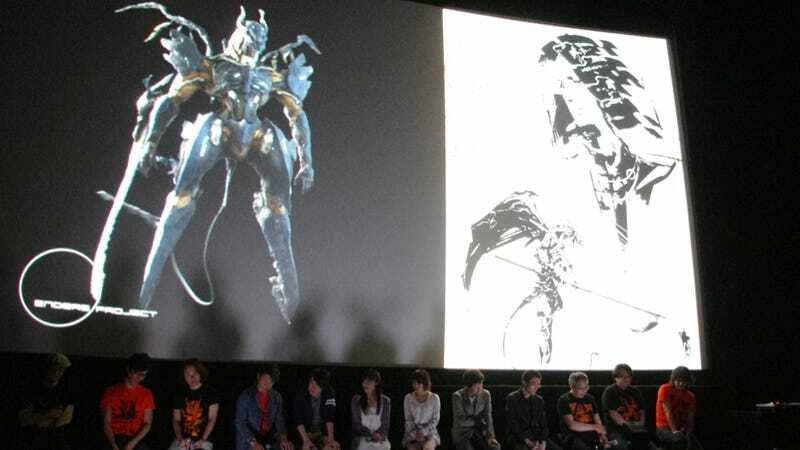 Back in 2012, game creator Hideo Kojima unveiled a new Zone of the Enders project titled "Enders Project". And now in 2013, the project is currently suspended. On a recent episode of Hideo Kojima's online radio show, the game creator talked about Z.O.E. and the Enders Project. Kojima pointed out that the original team didn't do the HD version; instead, it was, from the sound of it, subcontracted out. What's more, Kojima said that because the subpar version is in HD and for current gen hardware, it would be around longer, perhaps, than the original version. That's something that Kojima thinks bothers the original developers—that they probably wanted the game to look and play great. So what does this mean for a new Z.O.E.? But because of what happened with the HD version, Kojima said plans for the sequel were shelved. "Because what happened," Kojima continued, "the producer and everything were cut, too." Last year, Kojima said he would be producing the Enders Project. However, he said he wouldn't be writing, designing, or directing the game. Instead, staff at Kojima Productions was handling those duties. What&apos;s Hideo Kojima Doing on the New Z.O.E.? Not Enough. "Right now," Kojima said, "nothing's happening [on the project]. We originally said we were going to do a sequel, but the team has been disbanded." According to Kojima, he'd like to know, once again, if people are interested in playing another Zone of the Enders. This is a question Kojima Productions asked previously.